Home PC PCUnlocker Review: Unlock, Bypass & Reset Windows Password Easily. Windows OS is the world’s most popular desktop OS. It is used on the largest fraction of PCs across all types of users. It is also used in most organisations, educational institutes, homes as well as public computers. Mostly, multiple users use a Windows PC for which Windows provides different accounts with password protection. These accounts have user data, settings and programs. There is one Administrator account that has all the rights to make major changes to the system. But many times, users face a problem of forgetting the password for their account. Many users do not know the password for the administrator account wich may be needed to install programs. If you are facing a similar situation where you need to bypass Windows account password, we have a solution for you. Here is the complete review of “PCUnlocker” tool that lets you unlock, bypass and reset any Windows account password. Why To Use PCUnlocker By Top Password Software.inc ? 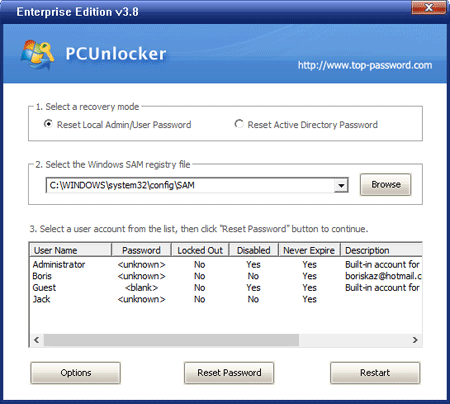 PCUnlocker is an excellent tool that helps you quickly unlock and access your Windows PC through a locked user account. It supports all versions of Windows including Windows 10 / 8 / 7 / Vista / XP / 2016 / 2012 / 2008 / 2003 / 2000 and Active Directory (AD) servers. 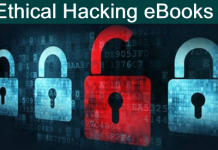 This tool can unlock your Windows PC in case you do not know the password, forgot it, or even if your user account is disabled. It can also be very useful in case you need to regain Admin access to a Windows AD (Active Directory) domain controller. The PCUnlocker tool is compatible with the complete catalogue of Windows Operating system. It is compatible with all the versions of Windows OS across all regions. PCUnlocker can unlock PCs running Windows including Windows 10 / 8 / 7 / Vista / XP. It is also capable of unlocking and regaining administrative rights on Active directory servers running Windows 2000, 2003, 2008, 2012 and 2016 AD (Active Directory) domain controller. Hence, you absolutely do not need to care about what version of Windows you are running as PCUnlocker can unlock it all. There are many kinds of accounts on a Windows PC. Two most common types are Administrator and User accounts. Earlier, these accounts were protected by a local password but with Windows 8 onwards, these accounts are protected by a Microsoft account password of signed in ID. The PCUnlocker tool ca unlock all type of accounts whether they are protected by a local or an online password. The latest version is capable of unlocking the account without making any changes in the online password. 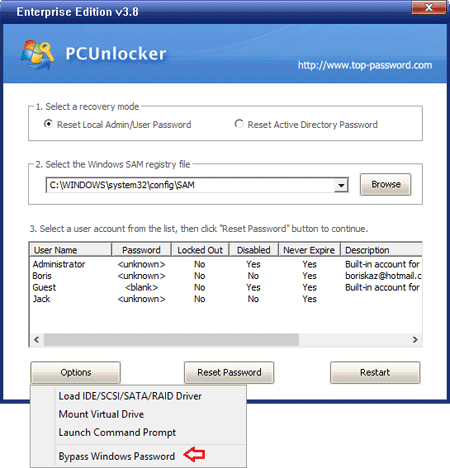 Using the PCUnlocker tool to Unlock, Bypass and Reset Windows Password is fairly simple. Here are the easy steps that you must follow to unlock your Windows PC. Step 2. Unzip the file to see the PCUnlocker ISO file. Step 8. Click on Restart. Hence, this is how you can use the PCUnlocker tool to bypass and unlock the password on Windows PC. PCUnlocker has a free trial with a few limitations on features. to get the complete let of features, you can purchase the tool from the website link given here. There are various license versions like standard, Professional and Enterprise. Each version costs a bit different so choose the one you need. Click the link below to Download. Share your experience with a locked windows PC in the comments below to start a discussion.